The Waterfall Canyon Eco-Trail start at the end of Sredok Housing Estate in the western part of Smolyan. The highest point of the trail is at about 1800 m above mean sea level and has a vertical drop of approximately 700 m. The trail goes up the river and crosses a number of water cascades forming a system of small and medium waterfalls that pour their waters from one to the other. 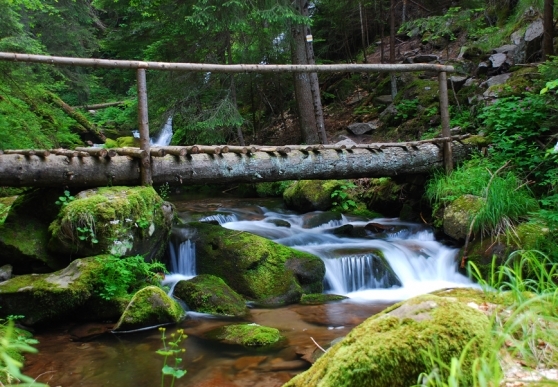 The trail crosses metal and beautiful wooden bridges built over Elenska River. They are always followed by rest and picnic spots.